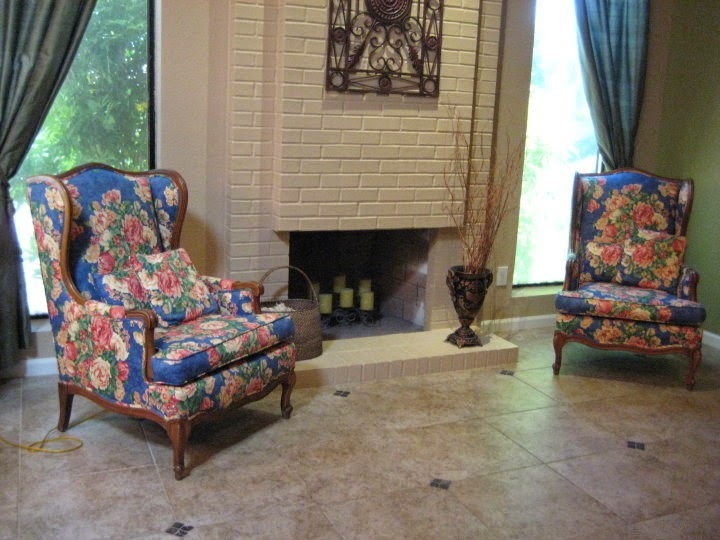 I rescued a pair of very sad wingback chairs a few years ago while I was living in my larger Scottsdale home. When I found these, my heart sang. I had the vision to know these sad girls with extremely misguided 1980's floral chintz fabric could be glorious again. Here's a picture of them in their original state. Sad, very sad. I had them professionally rebuilt and reupholstered. They don't make chairs like this anymore except with very high end furniture lines. 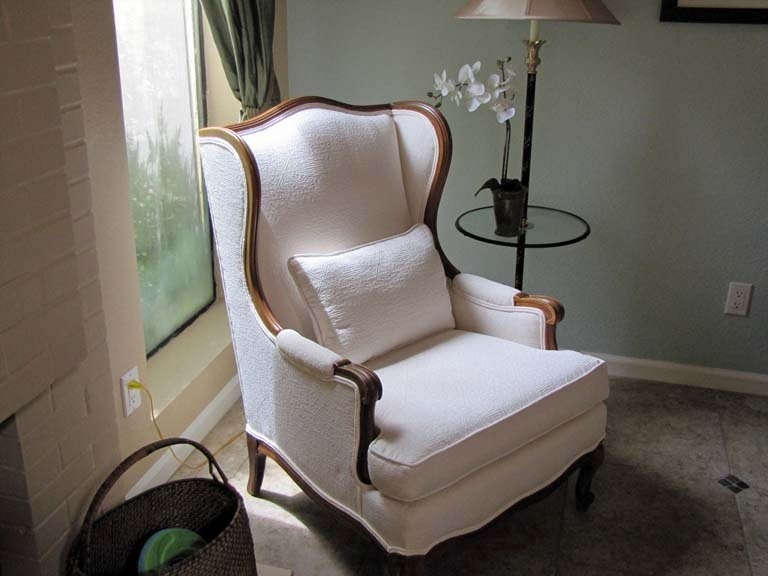 I picked a gorgeous matelasse ivory fabric that is elegant and graceful with great texture too. It comes with a matching lumbar pillow. I put the pair in my Cave Creek shop and one of the chairs sold right away. I hated to split them up, but that's life sometimes. I will be moving the remaining chair to my new shop shortly, but wanted to let everyone know the remaining beauty is still available for purchase. If you have any questions, give me a call and we can talk price. You won't find a nicer and more elegant 1950's wingback anywhere! Call me at (480) 775-1500.